The Psychedelic Tunnel In Shanghai, China. Shanghai has exploded onto the map. With its vibrant mix of Art Deco architecture and a futuristic skyline, this city has everything. Leave the map at home and just get lost – you won’t be disappointed. Famous for its delicious Shanghai dim sums, you can eat with the locals in this Old Town God Temple eatery. One of the oldest Shanghainese restaurants, extremely popular with the locals. Try the fried prawn and stir-fried eel. $10-$15 pp. A sophisticated restaurant on the Bund, it serves modern Shanghainese food in a superb Art Deco setting. Also has three different rooms just for enjoying the ancient traditions of the tea ceremony. $75-$90 pp. Recently overhauled, it’s the ultra-cool bar for a buzzing night on the Bund. If you like the idea of someone on the decks and sitting back with a few pricey drinks, this is the place. Small and private, Jiao Bar is an up-market local with plenty of nooks and crannies. Known for their Japanese shochu, it’s perfect for a romantic couple seeking to see off jet lag with a few drinks. The Barbarossa Lounge is an institution. A sophisticated three-storey Moroccan bar set in the middle of a pond within the incredible setting of the People’s Park, it’s a must for any thirsty traveller. Cheap and trusty massages are available all over Shanghai. Visit the Dragonfly, on DongHu Rd, for an out-of-this-world relaxation experience. Fit for anyone’s budget, prices start at about $15 for 90mins. Also known as Zhongshan Dong Yi, Shanghai’s famous waterfront was originally the international settlement, and therefore reflects this more worldly and cosmopolitan history. Today its jammed with amazing Neoclassical and Art Deco architecture and is a symbol of the new Shanghai. Set beneath the Huangpu River, this tunnel makes for a fun alternative to crossing the river. It runs between the Bund in Puxi to the base of the Oriental Pearl Tower in Pudong. 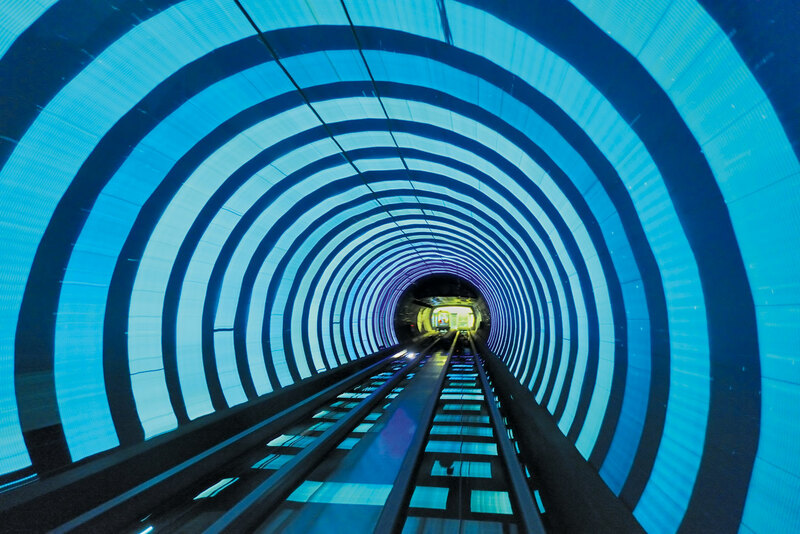 Board a modern glass portal car and zoom past flashing Christmas lights, giant projections of underwater scenes and “molten magma”. Meizhou Rd, Zhujiajiao Town, Qingpu District An hour’s drive from downtown Shanghai, this little village was built on the water during the Ming and Qing dynasties, and is a relaxing alternative to the hustle and bustle of the city. An interesting way to see life as it was. Dongtai Lu, near Fuxing Zhong Lu Full of antique treasures including lovely Art Deco pieces and lots of Cultural Revolution memorabilia. A bustling place where you have to dig for gold. Beneath Science and Tech museum, 2000 Century Avenue, Pudong A collection of “secretive” shops selling all the latest in knock-offs. Be prepared to haggle, and generally only pay at most half of the first stated rate. Thanks to the Cultural Revolution and the departing Nationalists packing a few trinkets for their trip to Taiwan, the Chinese museums are actually quite poor. This is an exception. Packed with exceptional ancient artefacts like jade, calligraphy, ceramics, coins and bronze. Nanjing Road Originally called Park Lane, Nanjing Road is China’s premier western shopping street. It’s the bright buzzing capitalist centre of China. China’s first carbon-neutral hotel, its in a great location in the heart of the French Concession area. A cosy boutique hotel with exposed recycled brick interior walls and even old suitcase leather used as furnishing. It’s the best of the new China. Avg $183/night. Another boutique gem in Shanghai, the apartment hotel is a private chic retreat in a 1920s building in the heart of the city. Avg $219/night. An urban resort in the heart of the city with minimalist design, health spa and full resort facilities, The PuLi has beautiful views of Jingan Park and Shanghai’s skyline. This 23-story Art Deco tower in the heart of the Bund is sophisticated, muted and modern. Great views over the Bund, the river or the glittering Shanghai city skyline. Avg $188/night.